I am living in Japan now and I must admit that the one thing I miss most about America is College Football. The first thing I do when I get up on Sunday mornings here is to check the football scores back home ( Sunday morning here being Saturday evening in the US).I was surprised to see the Michigan-Illinois score from this past week 67-65 in three overtimes. The reason for this ridiculous score (which looks more like a college basketball score than a football score) is that teams pile up points in the overtime periods. Which brings me to the subject of overtime in college football. First of all I should say that I never really liked ties in college football, especially in a big game. 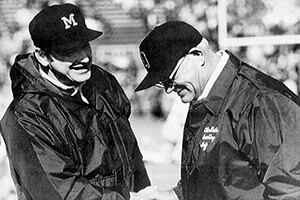 Remember the 1973 Michigan-Ohio State game when both teams came into the contest undefeated. Michigan was ranked 4th in the country and OSU # 1. 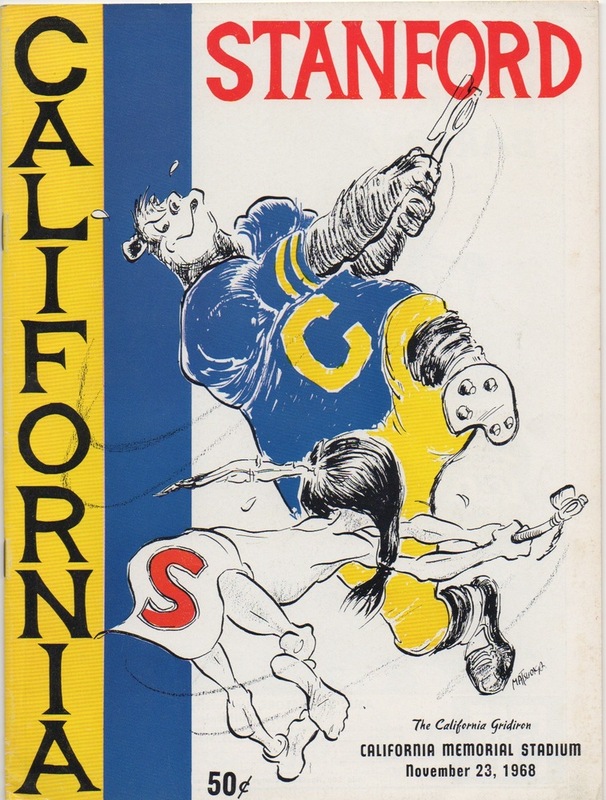 The game ended in a 10-10 tie and to this day is considered one of the classic games in the annals of college sports. But no one was satisfied with the outcome back in 1973. The controversy went on all winter as I remember. And I am sure in some bars in Ann Arbor and Columbus they still talk about it. Ties were unsatisfying, certainly, but we accepted the lesson of a tie: sportsmanship. Both teams could walk off the field feeling that they had battled hard and earned the respect of their opponent. The tie, then, seemed uniquely suited to college athletics. It reminds us of a time when athletes went to class, wore varsity sweaters and carried textbooks and when the only substance they abused was beer. Contrast the spirit of the tie to the win-at-all costs mentality in college football nowadays. This has resulted in a hopelessly gimmicky overtime format where teams start on their opponent’s 25 yard line and at the very least can kick a field goal. More often than not the final result is a score inflated beyond one’s imagination, what we got on Saturday with Michigan and Illinois. Anyway, I must say I prefer the old days and the ties, unsatisfying as they were.